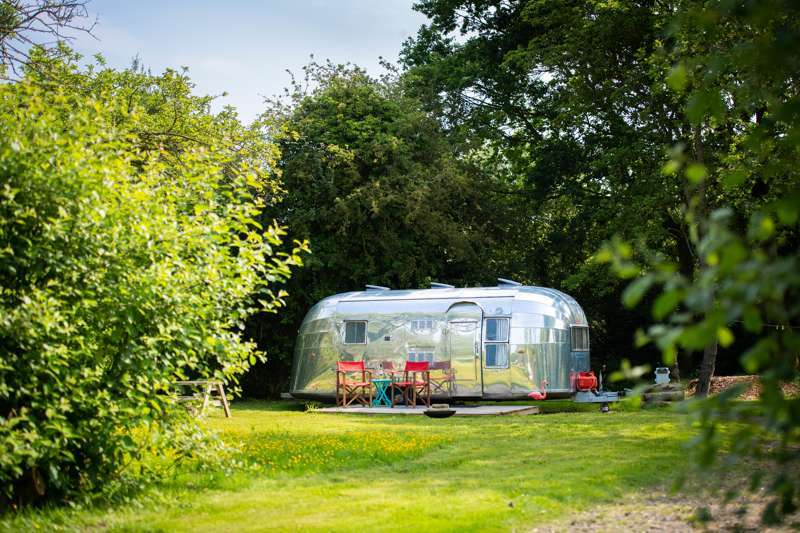 Situated on the Norfolk/Suffolk border, tucked away at the end of a no through road you will find a taste of Retro Americana at Tin Can Camping. 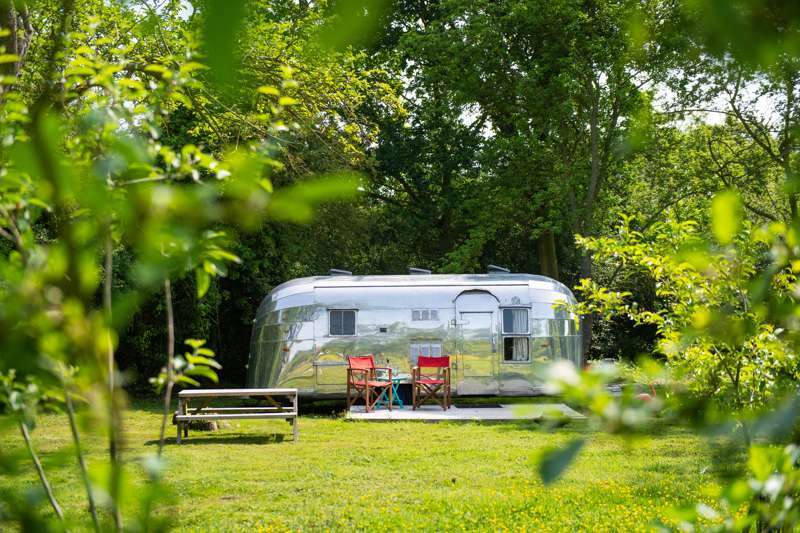 Nestled in a little wood are our four beautiful American trailers, 3 Airstreams and 1 Jewel, waiting to capture your heart. 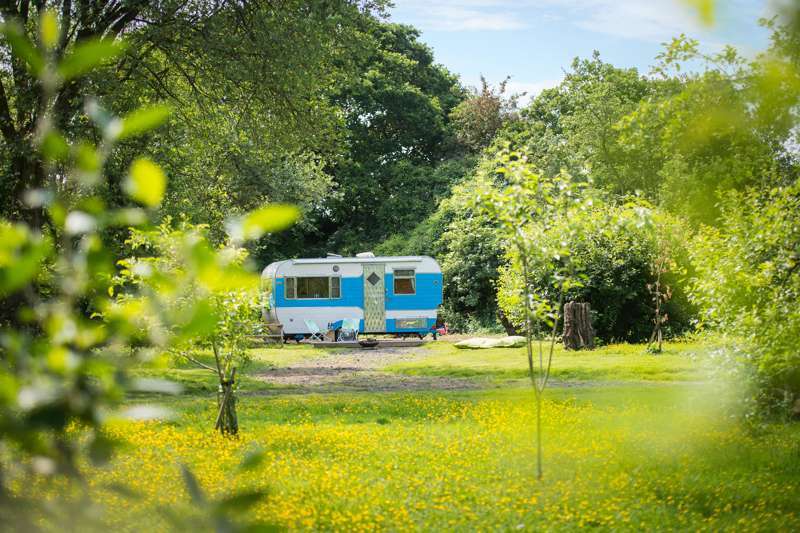 The trailers sleep between 2-4 people and have the added bonus of a purpose built Camp HQ with luxurious bathrooms, modern kitchen, comfy sofas and pool table. And for those who prefer bricks and mortar to aluminium and rivets there is our little boutique cottage, The Nook. 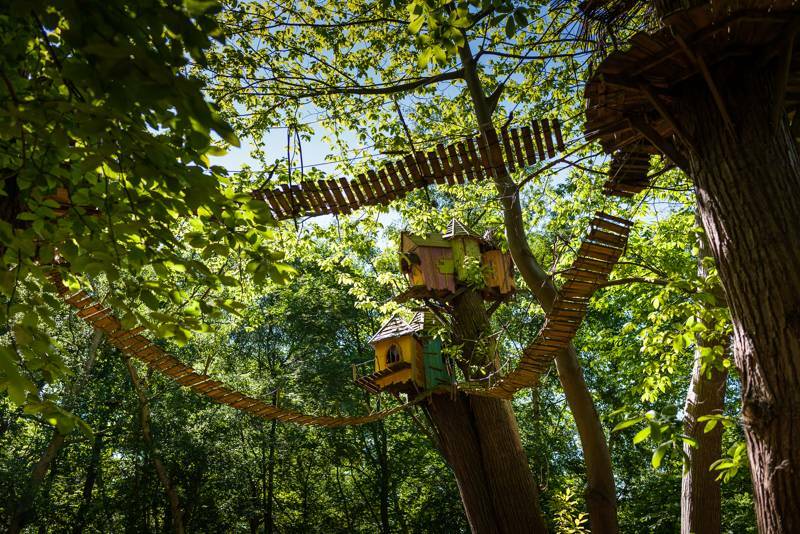 Why not book all five for a weekend away with friends? 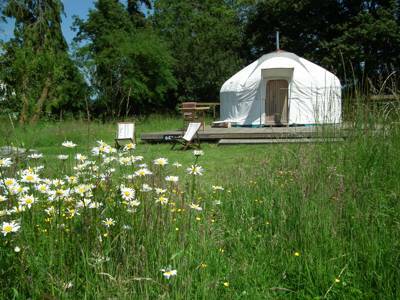 For latest availability and best prices for Tin Can Camping, please use the Date Search above. 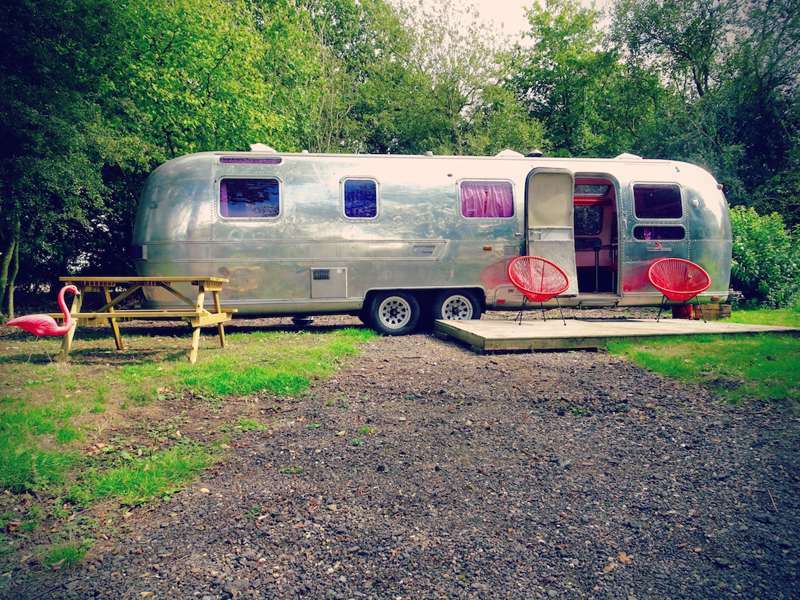 All 4 vintage glamping units have been beautifully restored and have many retro Americana accents and furnishings along with modern essentials. Each has a small chemical toilet, fridge, hobs and oven or grill on board, electric heater, DAB radios with ipod jack, games, hairdryers, linen and towels, plus a generous locally sourced breakfast hamper. In the 'Camp HQ' there is a brand new kitchen, large fridge, chest freezer (stocked with ice and ice creams), hob, fan oven, Nespresso coffee machine, milk frother and pool table. The bathrooms boast luxury hotel style showers and facilities. Outside there are gas and charcoal BBQs, firepits (logs available to buy), picnic benches, deck chairs, a boules pitch, giant jenga and a pool table. It's a short drive (or long cycle) to the Norfolk Broadswhere you can hire boats for the day or dabble around in a canoe, while the coast is around 40 minutes by car – Southwold is probably the closest coastal town. Explore the pretty harbour or try your luck out on the famous pier. Recently revamped and renovated, it, too, is delightfully retro with deliberately low key attractions. It takes 5 minutes from the campsite to reach the beautiful market town of Loddon, home to a magnificent parish church cutting a n imposing presence off the main square. Pop your head in and take a look. It's 10 minutes further to Bungay, built within a meander of the River Waveney and home to several great gastro pubs (see food & drink). Guests are supplied with a very popular, locally sourced breakfast hamper containing (among other things) sausages, bacon, milk, bread, eggs, and potentially the best brownies ever from the local deli (vegetarian and vegan options also available). There are also plenty of top pubs within a 15 minutes drive, a particular favourite is The Castle Inn (01986 892283) in Bungay. 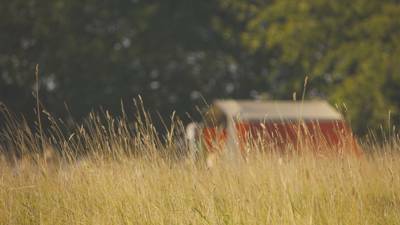 There are plenty of farm shops, a twice monthly Saturday farmers market in Loddon. There's also an abundance of local vineyards and breweries in the area including Flint Vineyard (www.flintvineyard.com), Grain (01986 788884), Adnams (01502 727225) and St Peters(01986 782322). Trains from London Liverpool St to Norwich are direct and take 1 hour 50 minutes. 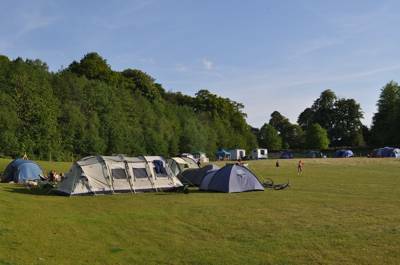 Taxi's can be taken from Norwich station to the campsite (20-25 mins) and cost £18 if pre-booked. 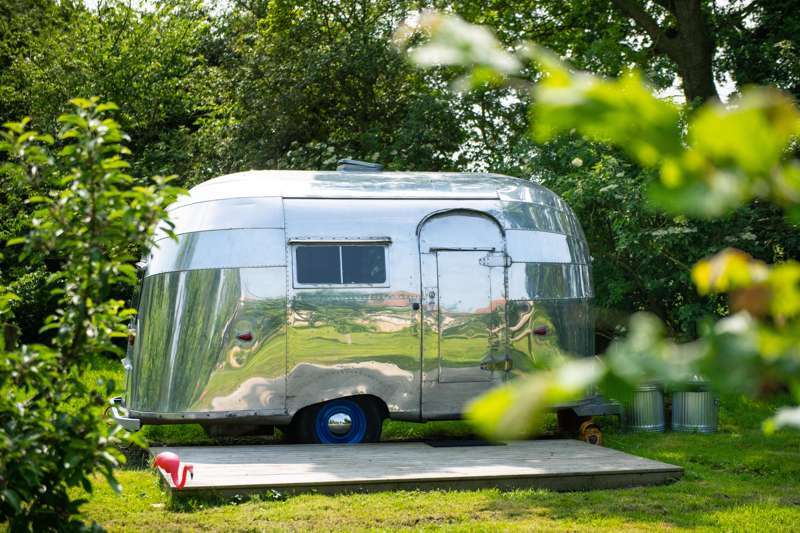 A small, 1956 bubble Airstream, a full-size 1957 Airstream and a vintage 1957 caravan (each sleeping 2).